Thanks to everyone who came to our open day on April 6th. The weather wasn't the best but we still had a great turnout of some truly beautiful scooters. The day gave us the opportunity to showcase our electric conversions for classic scooters. Those lucky enough to get a turn could not help but smile after test riding our Vespa Primavera and Lambretta GP. The variation of scooters was also a record high, from our own Niu electric scooters and Royal Alloys to classic Vespas and Lambrettas, all in a range of different styles. We saw Vespa cut-downs, Mod inspired machines, mopeds from the 1940s and so much more. Wildcard Brewery were serving up some tasty pints next door, whilst Salty Lions offered up some delicious BBQ delights, all making for a great afternoon. 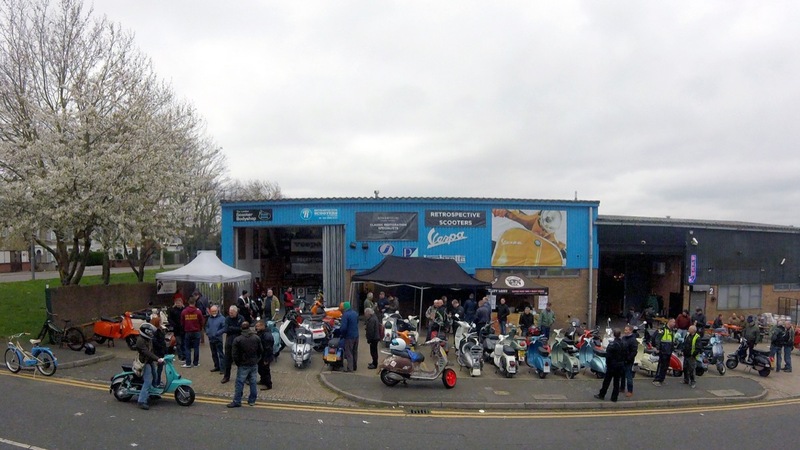 Thanks also to Andy Gillard from Scooter Nova, Deeney's restaurant in Leyton, Bradley Hall and all those who span some tunes for making it another fantastic open day.